Encinitas, Solana Beach, Del Mar, Leucadia, Carlsbad, Cardiff by the Sea, La Costa, Rancho Santa Fe, Fairbanks Ranch, Carmel Valley, La Jolla and all of the San Diego North County coastal communities. 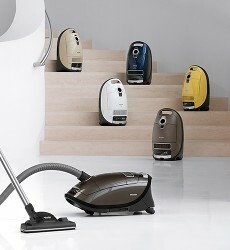 We are proud to have the largest stock & selection of Miele vacuum cleaners in all of San Diego County. 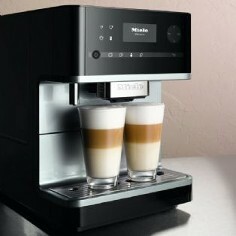 We are the Authorized Miele Vacuum Dealer in Encinitas. With over 20 years selling & servicing Miele vacuums, we know Miele best! We are helpful experts, not pushy salespeople. So, whether you are buying a Miele vacuum for the first time or it's time to trade in your old model, come see us & get the full Miele experience! For homes with medium to thick carpeting, or a diverse variety of carpet & flooring types. 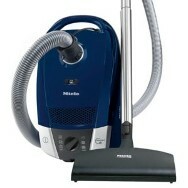 Miele's two most popular vacuums for bare floors & very low pile carpet or area rugs. 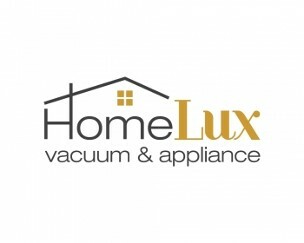 The amazing accessory your Miele vacuum can't live without! Compact C2 Electro+ (referred to as older Topaz in this video) compared to C3.